When Glico announced back in December that they were doing a Pocky gijinka campaign where the different flavors would be transformed into handsome guys voiced by famous voice actors, I knew I had to get my hands on some. Luckily, @everydayfoxlife was kind enough to hunt down a few boxes for me! Later, I ended up finding the regular and heartful Pocky flavors here in Australia, so I picked up a couple more for good measure. Do you hear the crinkling of candy wrappers? 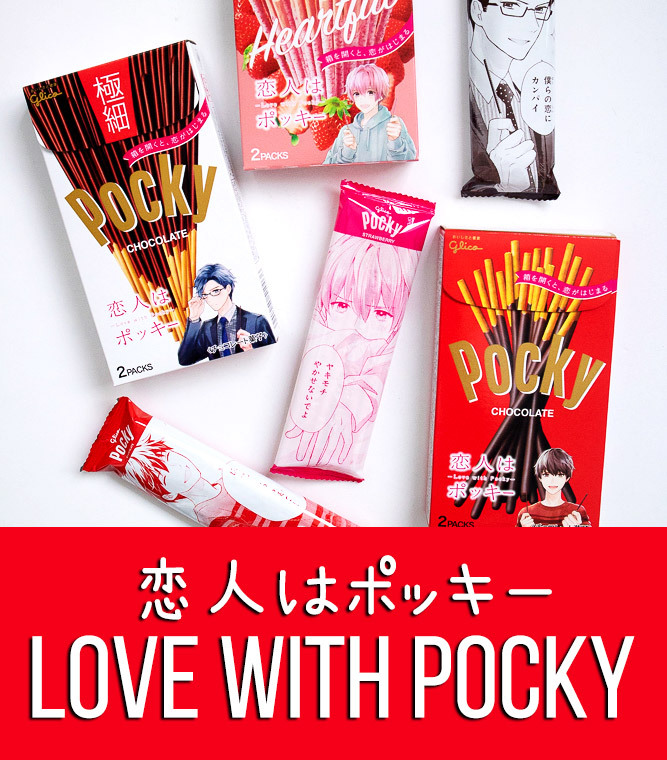 That means it’s time for another Japanese snack subscription box review! 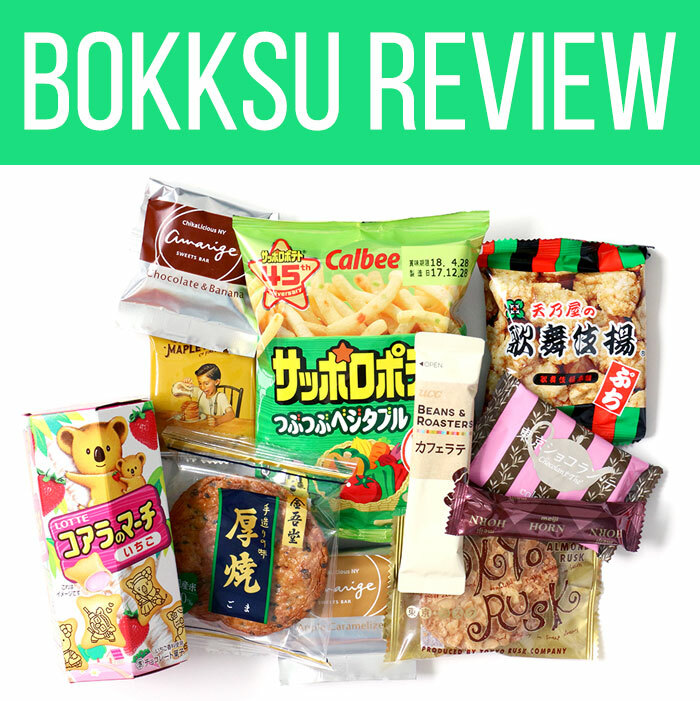 This time, I’m checking Bokksu, a spiffy subscription service that specalizes in curated snacks from Japan. I was immediately intrigued by their service because they seem to offer a lot of locally-sourced snacks that you don’t see in a lot of the other subscription boxes. Check out my unboxing video to see what was included in their March Glamorous Tokyo box! 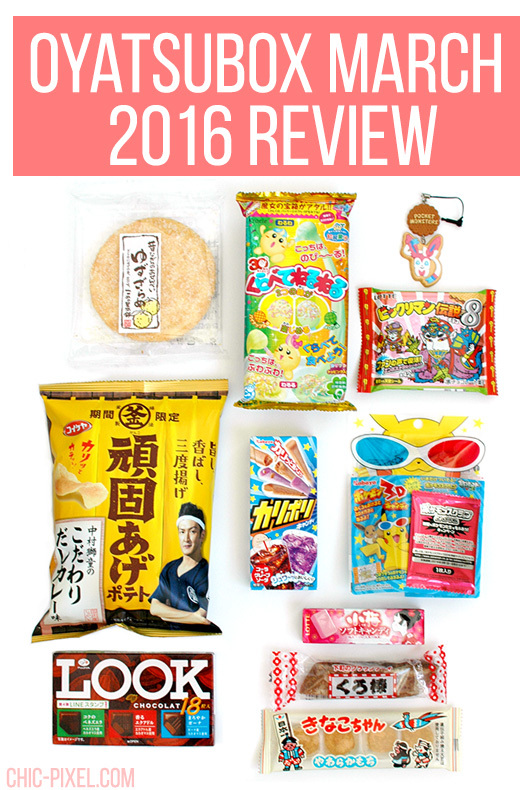 I’ve fallen way behind on my monthly OyatsuBox Japanese snack subscription box reviews, so instead of playing catch-up, I thought it would be fun to do one massive review of the last three months of 2016! Seeing the October, November, and December 2016 boxes laid out side by side in the same post is also a great way to quickly compare how the service fares from month to month. Hopefully this post can help you decide how long you want to subscribe if you’re on the fence! 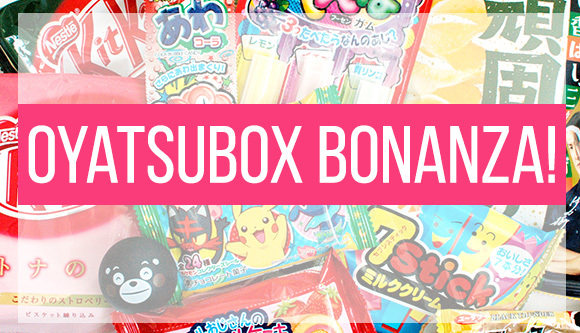 As always, the following impressions are of the standard OyatsuBox, which costs $25 per month and contains 10-14 items, including a variety of snacks, chocolate, and one gachapon. My previous OyatsuBox reviews have all been very positive, but they’ve added something that makes it even easier to recommend than before – a list containing the ingredients of every snack in the box! Now folks who can’t read the Japanese labels will have a better idea what they’re eating, which is always a good thing. I always say that I’ll try any food once, so that’s exactly the mindset I had when I jumped at the chance to purchase Halloween yogurt-flavored Cheetos from Japan. When I hear “yogurt Cheetos” I definitely don’t think “yeah that’s something I really want to eat!” but my curiosity always gets the better of me… I just have to try it! 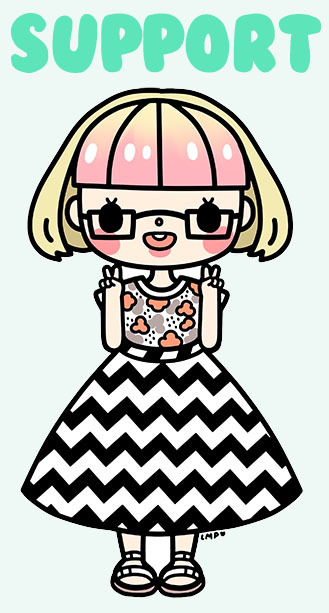 Which is exactly what I did in this year’s Halloween Apricotsushi Samples episode. Give it a watch to see what I thought! I didn’t even realize the bag was glow-in-the-dark when I ordered them, but it was such a cool touch! Too bad my camera couldn’t actually pick it up for the video, but it really did glow! As you can see from the tasting I was not exactly thrilled with these Cheetos, and if I had to choose would definitely go for another bag of the banana Cheetos over these yogurt ones. Oh my, is it really the end of September already?! Wait, winter, come back! 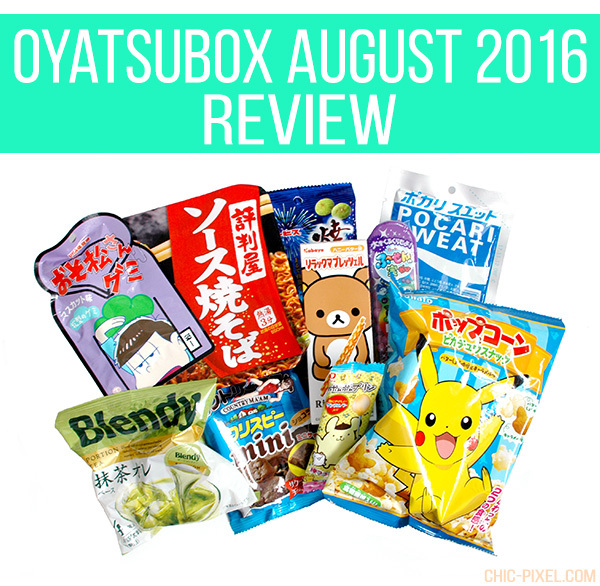 (or summer, if you’re a friend in the Northern Hemisphere) Today I’m going to relive August through this very overdue OyatsuBox review, which includes not one, but two cool summer drinks! Even though they probably planned that for customers who were in the height of summer in August, cool drinks are perfect for me now here in Brisbane, where things are just starting to heat up. But regardless of what season it is, I’m always up for some tasty snacks! 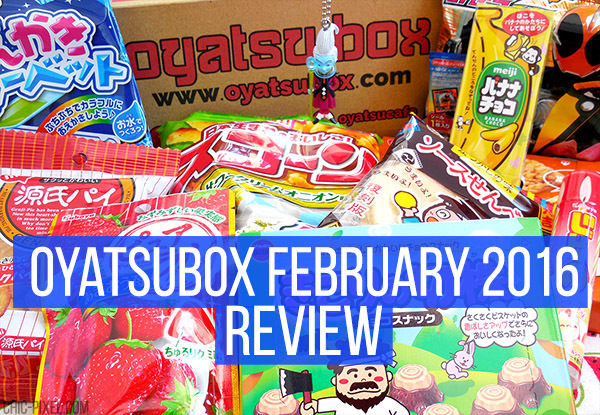 March is nearing an end, so that means it’s time for a OyatsuBox Premium review! Without giving too much away, let me just say that my initial impressions were extremely positive – this may be the best OyatsuBox I’ve received to date! Ever since I first review the OyatsuBox Japanese snack subscription service back in March 2014, it has remained one of my favorite services on the market. 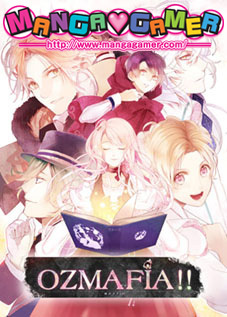 That’s why I’m extra excited to announce that I’m partnering with the folks at OyatsuBox to offer you monthly reviews, starting with the February 2016 premium box!